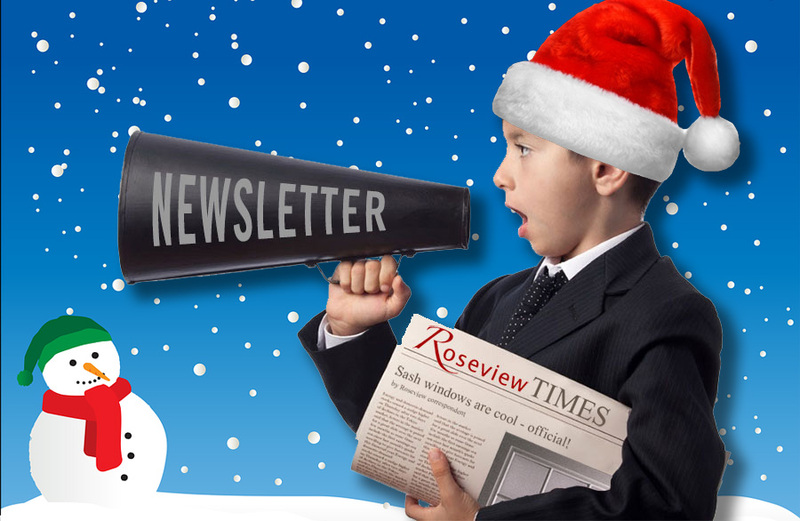 Welcome to our second Roseview Times newsletter, and our first Christmas version! As 2016 draws to a close, we’re looking forward to the new year more than ever, That’s because 2017 marks a very special anniversary for Roseview – it’s our 40th birthday. 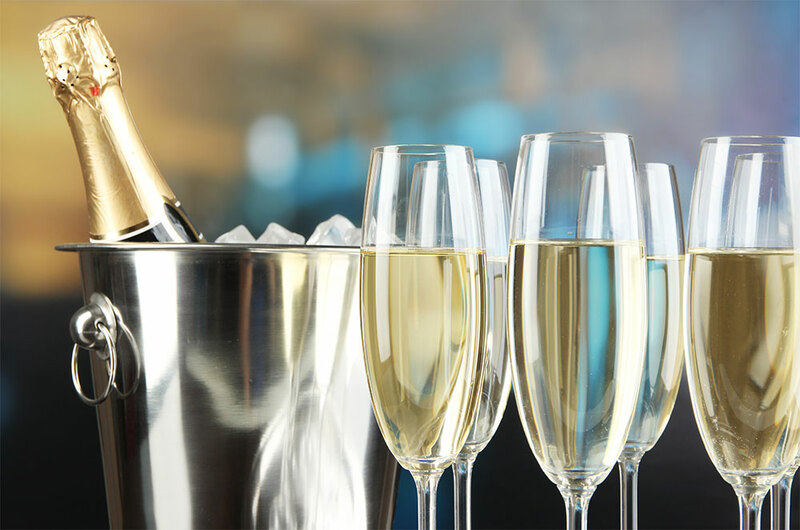 Roseview started business on January 20th 1977, so we’ll be celebrating our anniversary throughout the year, especially at the FIT Show in May. So why not take five minutes, grab a cup of tea (or better still a mulled wine) and see what we’ve been up to. 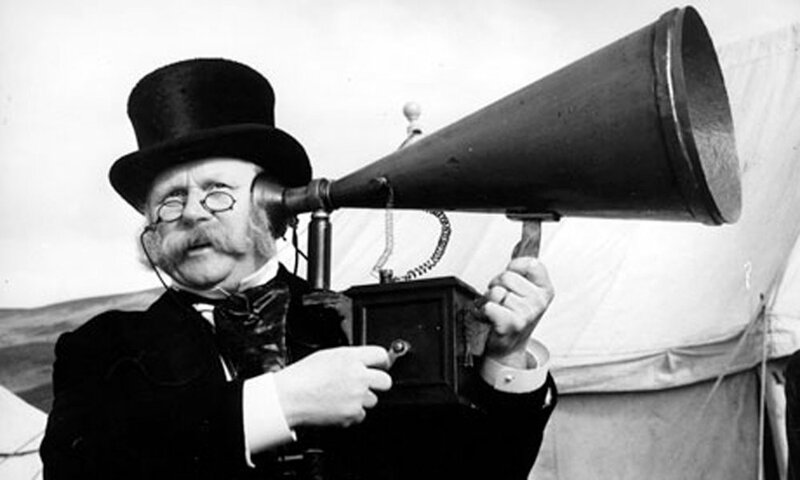 If there’s anything here you’d like to talk to us about, we’d love to hear from you. Call our team on 01234 712657 or email us at hello@roseview.co.uk. 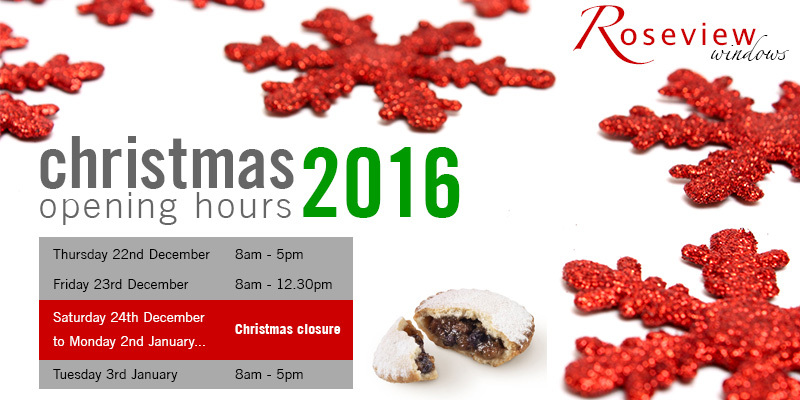 This year we’ll be closing for Christmas at 12.30pm on Friday 23rd December. The last day for window deliveries will be Thursday 22nd. We will re-open, ready and raring to go, at 8am on Tuesday 3rd January. Deliveries will restart on Wednesday 4th. We’d like to take this opportunity to wish you and your families a very Merry Christmas and a Happy and Prosperous New Year. Enjoy the break – you’ve earned it! 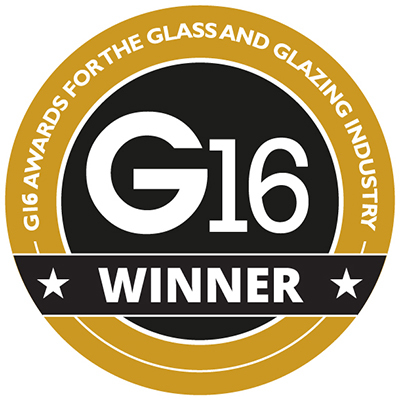 We’re delighted to announce that Roseview won the G16 Customer Care Initiative of the Year award at this year’s G Awards in London. The glittering awards ceremony was held in the Park Lane Hilton on Friday 18th November, and was hosted by brilliant comedian Milton Jones. 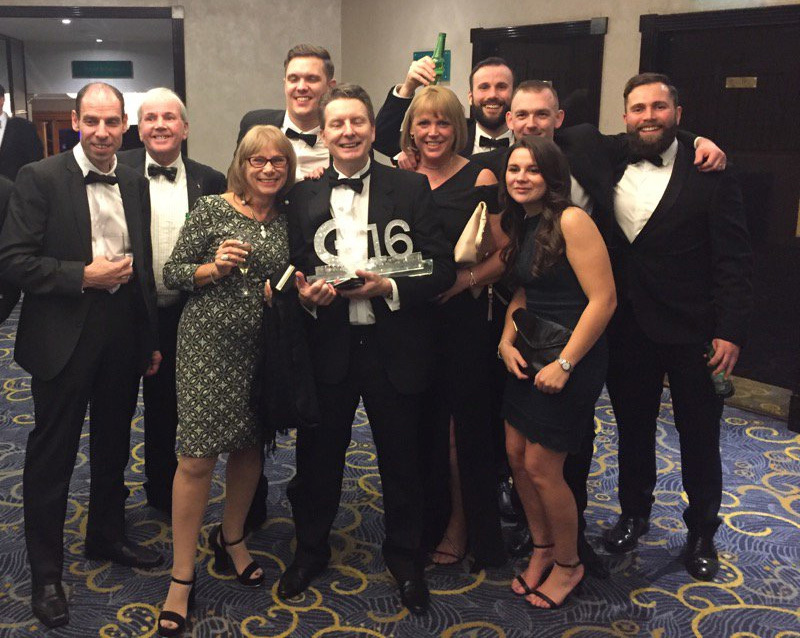 We were up for two awards: Fabricator of the Year and Customer Care Initiative of the Year. Although we didn’t win the Fabricator award, we were really proud to have been selected as one of the four finalists. Congratulations to Solidor who took that award on the night. But the icing on the cake for us was winning the Customer Care award. Focusing on customer care has been a key theme at Roseview this year, and we’ve launched a number of initiatives that helped turn the judges heads. On top of our year-round commitment to looking after our customers, the judges were particularly impressed by three things: our range of customer and marketing support materials, our new customer showroom designed to support trade and commercial customers, and – above all – our sash window training school. Run by our MD Willie Kerr, the sash school provides a range of free half-day courses for our customers. The courses are designed to help our customers sell, survey and install sash windows, potentially opening up new and lucrative window projects for them. As a result of winning the award we can now say that we don’t just make award-winning products, we also give award-winning customer service to go with them! We had a terrific night at the awards. As ever it was a great opportunity to meet up with customers, suppliers and friends, and have a drink, a dance and a laugh with them. And while there were a few sore heads the next morning, looking at that G16 trophy makes it worthwhile! If you’d like more information about our sash school or any of our customer care initiatives, please call us on 01234 712657 or visit our website. 2017 will see Roseview’s 40th anniversary! The company was officially formed on January 20th 1977, in a factory just 100 yards down the road from where we are now. Originally we manufactured Rehau casement windows and doors and installed them in the local area of Bedfordshire, Buckinghamshire and Northamptonshire. However, we quickly started manufacturing windows for other installers as well, and pretty soon we’d turned into a full-blown fabricator. Before long we’d outgrown our original factory, so in the early 80s (nobody can remember exactly when!) we moved into our current factory unit. Then, in 1985, our Rehau rep came to us with a new product they were developing. It was the first uPVC vertical slider system in the UK, and we jumped at the chance to be the first fabricator to manufacture it. Shortly afterwards that rep – Willie Kerr – joined us to run our production. Today he’s our Managing Director. Since then we haven’t looked back. We stopped manufacturing casements to concentrate solely on VSs a few years later. In the 90s we took on a second VS system (back then it was Plastmo, now it’s Eurocell), and in the 2000s we closed our installation department to concentrate solely on manufacturing industry-leading uPVC sash windows. Today we’re known throughout the industry as the UK’s leading uPVC sash window company, and our Rose Collection suite of windows are delivered to installers all over the UK and abroad. So 2017 is going to be a very special year for us. We’ll mark our official birthday on January 20th. However, to be honest that’s a bit too close to Christmas for us to have a proper do! So we’ll be focusing our celebrations on the FIT Show in May, where we’ll be exhibiting for the second time. Make sure you come along and see us! There’ll also be other things going on throughout the year. We’ll release more information about the different things that are happening closer to the time, but to start things off we’ll be running an Installation Of The Month competition. Each month we’ll invite you, our customers, to send in pictures of your installations using Rose Collection sash windows. Every month the one we like the most will win a prize, and at the end of the year one of the monthly winners will win our Installation Of The Year award. So dust your cameras off and get snapping! Have you seen the sash windows blog on our website? As part of our big website redesign earlier this year we decided to include a blog. All the posts are written by members of Roseview staff, and cover company news, industry news, hints and tips, and sometimes just things that amuse us. We’re also planning to write a series of sash window articles that complement the information from our sash school courses. It’s still early days, so there will be lots of new articles going up over the course of the coming year. Check it out and see what you think. And if there’s something you’d like us to cover, drop us a line and we’ll see what we can do! Keep 23rd-25th May 2017 free! The FIT Show has moved to the NEC in Birmingham. We’ll be there, but this time with a much bigger stand. Keep your eye on our Twitter account (@RoseviewWindows) in the new year for information on our new Installation Of The Month competition. In January we’ll be launching a series of product and service videos. We’ll announce them when they’re ready – watch our Twitter feed for details. That’s the end of the newsletter – I hope you enjoyed it! The next newsletter will come out early in 2017. 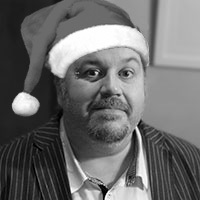 Until then, I hope you and your families have a fantastic Christmas and New Year. Bit of information that may or may not be of interest. When I started with Lindsey and Fred it was about 1982. Registered as Spicgem trading as Roseview. We started making aluminium windows on the ground floor of Incon (or is it Encon House?) opposite and just up the road from your current premises. Then expanded to the unit directly opposite, but, kept offices at Incon House for a while.